According to reports from the journal Science, the number of landslides that occurred after the earthquake in Nepal was lower than expected. An international team has made an investigation in order to identify landslides from satellites and enhance the understanding of the phenomenon that affects thousands of people every certain years. On April 25, a devastating earthquake shook central Nepal. According to The Guardian, more than 4,400 people died across the region. The magnitude of the quake reached 7.8 grades, many villages were completely destructed and thousands of people were injured. The United Nations released $15 million from their central emergency response fund for quake victims and several countries made donations to help the victims. 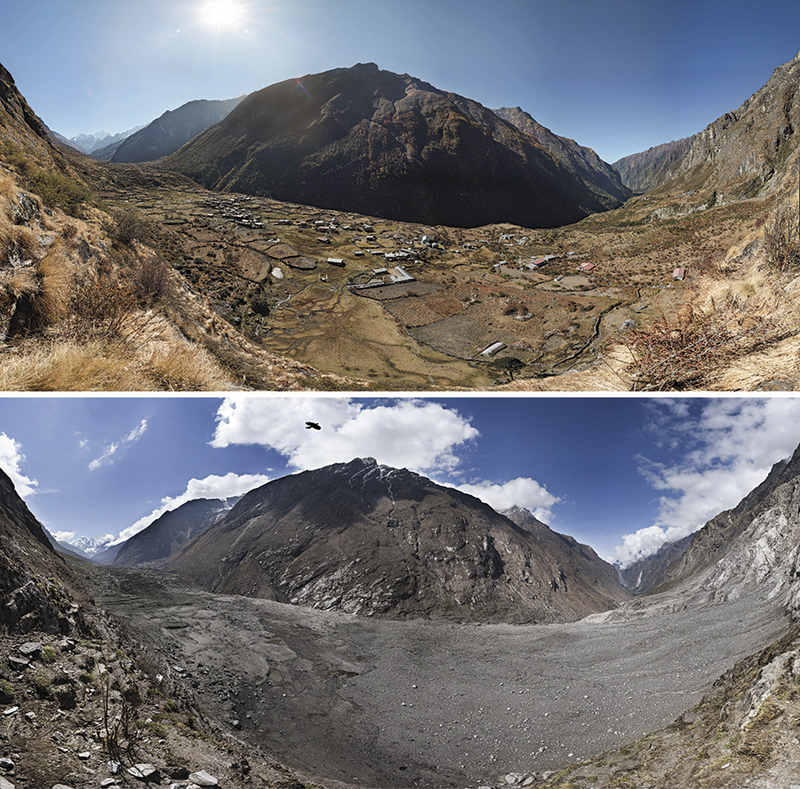 Results from the new research would appear to show that about 4,312 landslides occurred in consequence of the Nepal earthquake in April and no significant floods from glacial lakes developed. The lead author of the study, Jeffrey Kargel, who is a senior associate research scientist in the UA Department of Hydrology and Water Resources, said that after the Earthquake occurred he was concerned about his friends living in the country so he tried to help Nepal as much as he could. “It was a really bad earthquake — over 9,000 fatalities in four countries, primarily Nepal. As horrific as this was, the situation could have been far worse for an earthquake of this magnitude,” he said. After analyzing the selected images, the researchers seem to suggest that magnitude would not be the main factor to establish the number of landslides that would develop after earthquakes occur. Jeffrey Kargel said there are several agents which are important to understand landslides such as the seismic energy earthquakes deliver, also the classification of rocks of the area and the steepness of the slopes should be taken into account. He explained that some mountains were hit hard while others nearby were barely scratched. Despite the investigation suggested fewer landslides than expected occurred, other scientists suggested that several landslides could not be seen from satellite images since some of them are too small to be detected, so they claim satellite images are not the best source for a good measurement. However, new findings open the door to deeper studies related to all the factors that determine the harm caused by earthquakes besides the magnitude. According to Nature.com, the geography of Nepal has changed through the years as the result of drastic earthquakes.